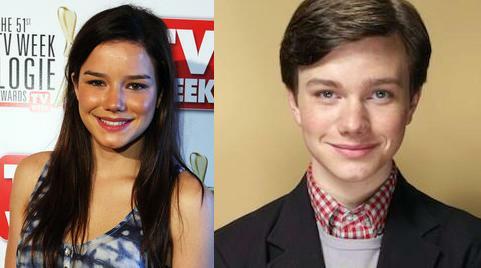 Sure, Hanna Mangan Lawrence (Spartacus: Vengeance) is a pretty girl, but once you see her resemblance to Glee’s Chris Colfer, you can’t ever unsee it. Both Lucy Griffiths and Chastity Wakefield look like the genetic mash-up of Rachel Weisz and Liv Tyler, a very lucky combination indeed. Katy Perry and Zooey Deschancel both have many fans but also many haters. However, one is always dressed like a prostitute from Willy Wonka’s world and the other like an eight year old girl. Skins’ star Kaya Scodelario is the British version of the The O.C.’s Willa Holland. Both are good-looking bad girls who are more known to teenagers than anyone else. 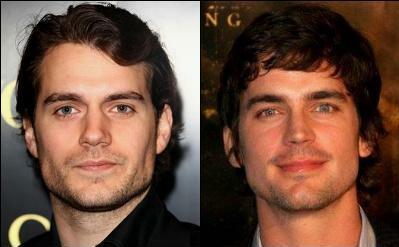 A couple of years ago Henry Cavill and Matt Boemer might have been easy to mix up. Now one of them is known for being the new Superman and the other an awesome out and proud gay dad. Leighton Meester and Minka Kelly starred in The Roommate together and some people can’t tell them apart. Both are easy on the eyes but Leighton is the one who is a talented singer and actress. Minka is mostly known for dating Derek Jeter. January Jones bears resemblance to Cameron Richardson, Sienna Guillory, and Meredith Monroe. All four actresses have different styles and resumes, but the same beautiful features. 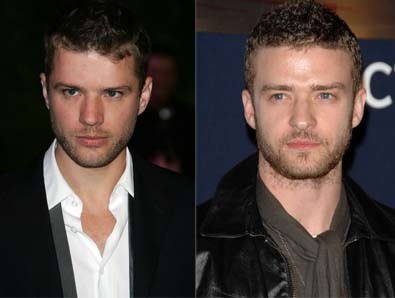 Ryan Phillippe bears a resemblance to Justin Timberlake when they’re both styled the same. Unfortunately for Ryan, Justin seems to have stolen his acting career. 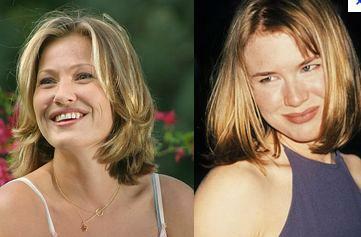 Back in both their heydays, Joey Lauren Adams and Renée Zellweger bore a striking resemblance to one another. Now Zellweger weighs about 80 lbs and Adams is MIA. 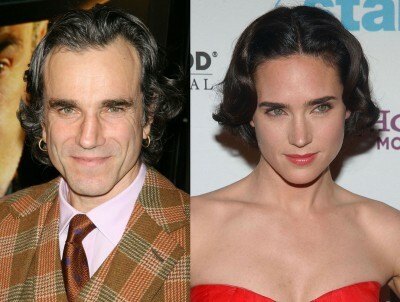 At the right moment and with the right styling, established A-listers Daniel Day-Lewis and Jennifer Connelly look like they could be fraternal twins. Amanda Peet and Lake Bell have the same masculine-yet-beautiful faces with almost the same exact coloring and neither of them have quite become A-listers yet. 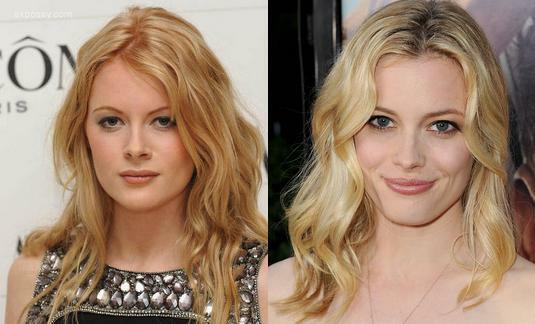 British actress Emily Beecham isn’t nearly as famous in the States as Community’s Gillian Jacobs, but both ladies bear strikingly beautiful facial features and pretty blonde hair. Victoria Justice and Nina Dobrev are both skinny brunettes with mediocre talent that have somehow become fan favorites. The main difference is that Justice is trying to keep a squeaky-clean image while Dobrev apparently can’t take a photo with more than half her clothes on. Comedian Greg Giraldo and actors Javier Bardem and Jeffrey Dean Morgan could all be triplets. I would totally watch that movie. While Garcelle Beauvais and Gabrielle Union may not look identical, they have very similar facial features and especially gorgeous, glowing skin. 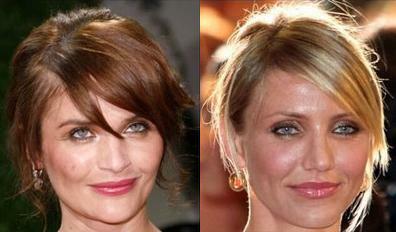 Model Helena Christensen looks alike like actress Cameron Diaz, especially when they Cameron have dark hair. Both seem to be aging gracefully but Cameron gets a lot more (unnecessary) slack for it. 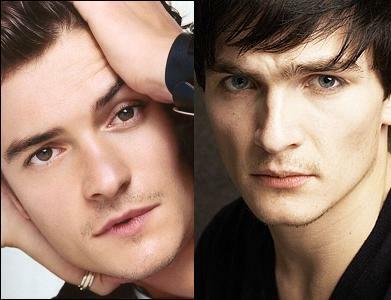 Orlando Bloom and Rupert Friend have more things in common than just their high cheekbones. Both are close to Keira Knightley (Orlando starred with her in POTC and Rupert dated her) and have a penchant for period films. Glee has already taken advantage of how similar Idina Menzel and Lea Michele are but they should take it one step further and cast America’s Next Top Model runner-up Melrose Bickerstaff as their long-long relative. Film veteran Piper Perabo looks very much like newbie Emilia Clarke from Game of Thrones. Both have huge smiles that might be considered too big for their faces if they weren’t so darn cute. oh man, some of these are perfection… Hanna Lawrence is just Chris Colfer in a wig, Zooey looks exactly like Katy Perry and DDL bares a striking resemblance to J-Col.. Victoria Justice and NIna as well.. awesome. Awesome post! HAHAHA with Justin stealing Ryan’s career, so true! Victoria Justice/Nina Dobrev- I looked at those two pictures and could have sworn that either of them were Mila Kunis. I think that photo of Chastity Wakefield makes her look like a cross between Katie Holmes and Kate Hudson!!! Oh, and Lake Bell looks way more like Stephanie Seymour,though Seymour is known for being a model and not an actress. I LOVE all of the lookalikes. I ended up on this pg multiple times. I think your first pic with the magenta is really cool. It reminds me of a venn diagram too. Do you mind if can use it? It would really fit the theme of my website. I am doing a topic with a bunch of lookalikes as well. Feel free to take a look if you want and drop and comment to let me know. I will provide the source, I am creating a links pg as we speak. Again, love the page. The one of Orlando Bloom, looks like Josh Hutcherson with the same square shape, eyes and mouth but different nose, they both look similar to Josh Hutcherson assides from Orlando Bloom also…Love to hear from ya.